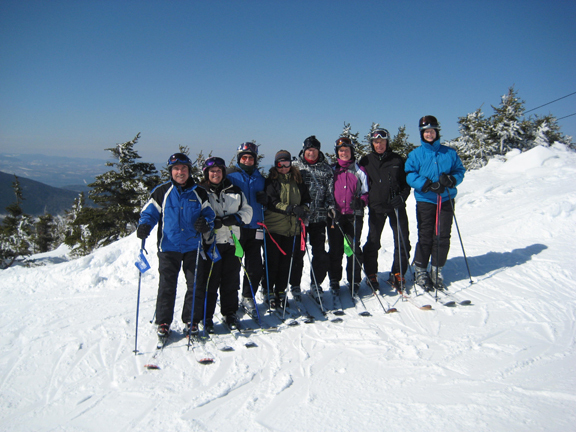 The Seacoast Ski Club membership runs from October 1 thru September 30 of the next year. The yearly membership costs $25 per person. (Note: we no longer have a family membership plan). 1. You can use PayPal or a credit card to renew by following these steps. [Note: You must first login to your Seacoast Ski Club account to renew your membership. Your email address should be your user name. If you have forgotten your password, click on the "Forgot Password" button just below where you login. The website will send a new password to your email address. If you still are having difficulty, please send an email to: webmaster@seacoastskiclub.net and detail what problem you are having. c. Please note that we no longer have "Family" memberships. If you were formerly in a family membership, you will need to renew each family member as an "individual" membership. Please contact membership is you have any difficulty making this transition. d. Select the button "Renew until 01 Oct 20xx"
f. Update any personal information in the form, then select "Next". g. Then select the option to pay using PayPal and follow the directions on the PayPal web site. 2. You can renew your membership by check: Make your check payable to: "The Seacoast Ski Club" and mail your check to: The Seacoast Ski Club, PO Box 90, Portsmouth, NH 03802-0090. 3. You can come to our regular club meetings and pay by check or cash in person. Our club meetings are held on the second Monday of each month at 7:00 PM, September through June. We meet at the Redhook Brewery at the Pease Tradeport in Portsmouth, NH. Membership Cards: Simply open your profile where you will find your membership card waiting for you. You can either print it out on card stock, or download to your 'smart phone'. Otherwise, come to one of our monthly meetings and pick up a card at our membership desk. Note: If you need to change your membership level, or you are having any difficulties, please send an email with a description of your concern to: membership@seacoastskiclub.net.